Recreational opportunities include a 60-site camping area located within walking distance from the swimming and fishing areas. Swimming is available in the designated area in Lake Manatee with a bathhouse and shower facility located close by. 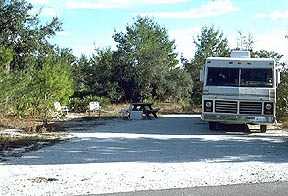 A large picnic area is nestled in a sandpine scrub area just a short walk from the lake. A picnic pavilion is also available and may be reserved for a fee. Lake Manatee offers excellent fishing. A variety of species are frequently caught such as largemouth and sunshine bass, speckled perch, bluegill, shellcracker and catfish. A Florida freshwater fishing license is required for all persons over 16 years of age. Lake Mantee is popular with RV-ers. A boat ramp and fishing dock are available for visitors to use. A Manatee County ordinance restricts boat motors to 20 horsepower or less. The ordinance also prohibits waterskiing. 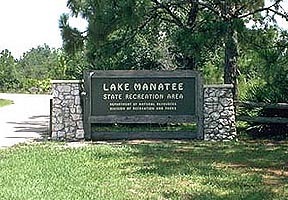 Lake Manatee State Recreation Area is located 15 miles east of Bradenton on S.R. 64. Lake Manatee State Recreation Area is open seven days a week from 8 am til sundown. The park is located 15 miles east of Bradenton on S.R. 64. Or call the park at: (941) 741-3028.